07:31 Commercial and non-residential property appeared in the service "DomKlik"
06:29 Less heat energy was given to DKG stations in the Far East due to the warm winter. The importance of the development of the border areas of the Far East is recognized today at all levels, from the philistine to the state: the striking contrast between the rapid growth of the border areas of China and the desolation of the border on the Russian side by any traveler raises a reasonable question about the causes of this contrast and ways to overcome it. Cross-border trade at all times was considered profitable and contributing to the prosperity of the territory occupation. However, the Far Eastern border areas for a quarter of a century, after the opening of the borders with the PRC, still remain poor and unattractive for life. The economic system of the border territories of the region was formed in the 90-ies of the last century, and its appearance is associated, among other things, with the dismantling of the southern part of the Far Eastern fortified region. Since the end of the 1980-ies, the infrastructure bordering China with a strip as an echeloned defensive belt, built in the Soviet era, began to degrade. As relations between the Russian Federation and the PRC improved, the military bases and defenses lost their importance, many units were liquidated, servicemen and their families left for the western regions of the country. The population of the regions switched to survival due to cross-border trade: empty consumer goods markets quickly began to be filled with cheap goods from China. Due to this traffic flow in the border areas of the Far East, as well as in neighboring areas of China, for 10 years a whole transit industry has been formed. For example, the Chinese city of Sunfeihe from a remote village turned into a lively shopping center with two hundred thousand inhabitants. Dozens of transport companies, tourist firms, customs posts and warehouses have sprung up from the maritime side to service transit, and the flows of goods flowed not only to the cities of the Far East and Siberia, but also to Moscow, eventually ending up in numerous clothing markets like the famous Cherkizon. With the transformation of the border from the fortress wall into a zone of commodity transit and an increase in cargo flows between Russia and China, there was a change in the type of activity of the population of the border regions. From the garrison and peasant servants who grew potatoes for military units, residents of the border areas were retrained into "shuttle traders" carrying consumer goods from China to Russia and fishers who extract and sell to the Chinese people the demanded Russian goods - timber, fish and seafood, wild plants (pine nuts) . Part of the production (trepang, scallop, musk deer, deer horns, etc.) was extracted by poaching and was transported across the border in the form of contraband. In the 1990-ies, when the federal control over the border was significantly weakened, entire businesses were formed on the border, engaged in transit, both in the form of large companies and in the form of a multitude of self-employed citizens who had not worked formally anywhere, but had quite a decent income. The basis for the flourishing of the shuttle trade was the intergovernmental agreement between the Russian Federation and the People's Republic of China 2000 on visa-free group tourist trips, according to which tourists from Russia and China can enter the territory of a neighboring state for up to 15 days, and export for personal needs up to 50 kg cargo without paying a fee. Using these rules, businessmen from both sides of the border built a cross-border transport and logistics system that annually supplied hundreds of thousands of tons of cargo to Russia. This system is still functioning, remaining profitable even after the ruble's depreciation against the yuan nearly tripled. There was also an export stream, in which, in addition to legally exported raw materials (timber, coal, ore), illegal goods appeared: smuggled wood, dried trepang and others. Since the beginning of the 2000-ies, the federal center began to gradually establish its rules for the regulation of the state border. Control over it passed from the governors to the hands of federal agencies, while some companies that grew up in the border business were liquidated. Nevertheless, the shuttle business continues to exist in reduced volumes, and generates both legal and illegal money flows, some of which come to the economy of the border areas in the form of incomes of "helpers" (tourists carrying transit cargo). The share of the local population engaged in this business is quite noticeable: for example, from 8 thousand people of the economically active population of the Primorsky Krai border area, about a thousand are involved in cross-border operations as "helps". A few years ago at the federal level, it was noted that the border areas of the eastern part of the country, instead of flourishing on trans-border traffic, show an economic and social decline. To remedy the situation, the Concept for the Development of Border Territories of the Subjects of the Russian Federation that are part of the Far Eastern Federal District and Trans-Baikal Region was developed (approved by the Russian Government Resolution No. 2193-r from 28 October 2015). The concept is designed to reduce "the level of interregional differentiation in the socio-economic development of the constituent entities of the Russian Federation through balanced territorial development," and ensure "Russia's active participation in the integration processes in the Asia-Pacific region." The goal of the concept is sustainable economic development and ensuring the social stability of the Far Eastern border areas, as well as the formation and development of competitive advantages over the border territories of neighboring states. The problems of the Far Eastern border territories, according to the Concept, are as follows: this is the low share of border settlements in the formation of GRP of DFD subjects, ineffective use of natural resource and tourist and recreational potential, the crisis of municipalities with a mono-profile economic structure, weak activity of small and medium-sized businesses, low provision of local budgets with own revenues, inefficient use of cross-border position and weak integration with the m zhdunarodnoy economic system. 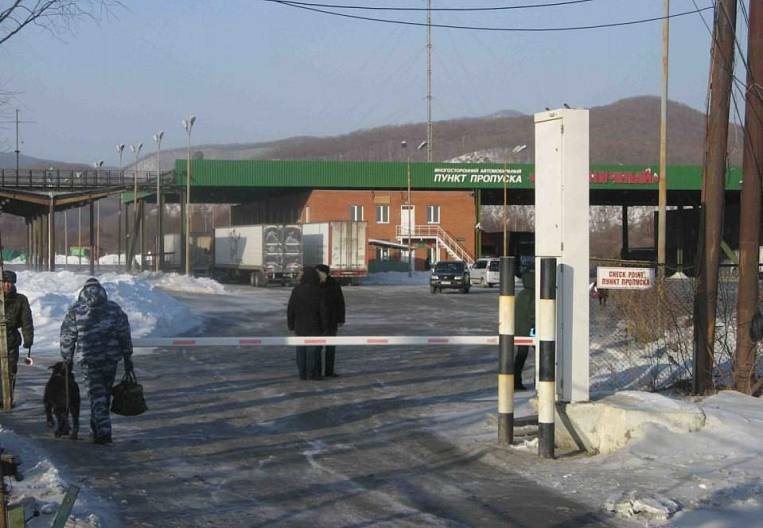 Integration is hampered by the poor quality of equipment and technical equipment of buildings, premises, facilities necessary for the organization of border, customs and other types of control at checkpoints across the state border of the Russian Federation. The listed problems quite correspond to the validity, but in the Concept their reasons are not specified. It can be assumed that such a cause is the incomplete process of transition from the dominant function of the boundary as a barrier (in which it protruded until the end of the 1980) to the transit function (where the border is the contact zone providing external transit). In this case, it is required to complete this transition, to form the necessary transit infrastructure and to harmonize the functions of the "barrier" and the "contact zone" to construct a stable "filter" on the border. The construction of the contact zone requires the presence of a transit infrastructure, including border checkpoints, a transport network, logistics facilities, various services, as well as established border and customs procedures. With regard to the analysis of the border situation in the Far East, it is worth paying attention to the work that was carried out two years ago, but remained practically unnoticed in expert and administrative circles. In 2016, an economic and sociological study of the border territories of the Far East in the Primorsky, Khabarovsk Territories, the Amur Region and the EAO was conducted by scientists from the Far Eastern Branch of the Russian Academy of Sciences (Pacific Institute of Geography) and universities of the region (Vladivostok State University of Economics and Service, Far Eastern State Agrarian University). During the survey, representatives of border municipalities, entrepreneurs and local residents were interviewed from both the Russian and the Chinese side. According to the survey results, the investment and entrepreneurial climate in the border areas, as well as the state of the border infrastructure, were assessed as unsatisfactory. Among the factors hindering the conduct of business, local entrepreneurs in the first place put a complex procedure for customs clearance (44%). Next, there are staff shortages (40%), administrative restrictions (38%), a complex migration regime (32%), inaccessibility of financial resources (30%), corruption (28%), taxation and customs fees (26%), legal base (22%), low quality of local government (20%). Of the nine factors, seven relate to regulation and management, and only two to resources. Claims for customs administration are the duration of procedures, double cargo inspections, the absence of customs warehouses, etc. These difficulties make it difficult to traffic and lead to the departure of Chinese cargo carriers to other checkpoints. Labor resources and the migratory regime are interrelated, as the shortage of workers in border areas requires compensation for businesses by the importation of Chinese workers who, according to Russian legislation, have to pass tests for knowledge of the Russian language, literature, and history for legal employment. Given that the bulk of businesses in the border area - this is agriculture, for peasants such requirements are clearly redundant. The desire to circumvent the rules naturally leads to the spread among them of illegal employment, the result is the loss of personal income tax by local budgets. The study also provides a comprehensive assessment of the development of border areas. Common problems are the contribution of border crossings to the economy of the regions, the difficulty with the availability of funds and the receipt of development loans. Following the results of the study, the following current conclusions are made. Over the past 10 years, the volume of cargo and passengers transported through the border has decreased substantially due to the crisis. The infrastructure of border crossings on the Russian territory lags far behind the Chinese in terms of development and throughput. 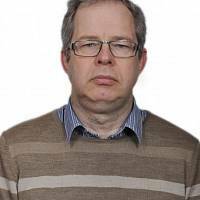 The reason is the unresolved property problem and efficient management of the transitions. The border position does not have a significant impact on the development of municipalities, on the contrary - they create an additional burden on the transport and social infrastructure of the settlements, they require expenditures for the improvement of the adjacent territory. There are restrictions related to the withdrawal of land for federal needs. Local budgets receive income only in the form of personal income tax, in connection with the outflow of population from the areas, these revenues are declining. There are difficulties with the collection of personal income tax from employees of federal services living in the districts. There is no possibility of introducing local taxes and environmental charges. Finally, there is no separate legislation on frontier territories, which would regulate the above issues. Thus, the poor quality of border infrastructure management, ineffective traffic management by federal agencies and the absence of border municipalities among its beneficiaries are cited as the main reasons for the low efficiency of Russian border areas as a transit zone. For the modernization of the cross-border infrastructure, the federal authority, specifically the FGUU Rosgranstroy, created under the Ministry of Transport to replace the "Rosgranitsa", abolished in 2016, is responsible. The task is complicated by the fact that the state does not have budget funds for the development of the border, and the regulatory framework for public-private partnership in this issue has not yet been created. While the modernization is slow and gradual: the construction of a new building of the Pogranichny automobile border crossing point, which is due to be completed in November of the year 2018, has been announced. The Chinese side has created a large reserve to increase traffic: the throughput of the "pair" for the Border Crossing - the Suifenhe border crossing point - is currently 5,5 million tons of cargo and 6 million people per year, whereas today, according to some estimates, about 200 thousand are passing through Pogranichny. tons of cargo and less than a million people per year. RZD plans to expand the railway station Grodekovo-2020 in 2022 - 1. While the record volume of cargo transported between the Russian Federation and China by rail is 10 million tons per year (2017), while the Chinese are ready to transport 70 million tons. The long-standing idea of ​​creating a cross-border trade zone Pogranichny-Suifenhe using the TOR regime has been re-animated: this was achieved at the meeting of Yury Trutnev with Vice Premiers of the People's Republic of China Wang Yan, which was held 7 2018 in Harbin in the framework of the opening of the years of interregional cooperation between Russia and China. Investors of both countries are ready to invest in the new structure 1,5 billion dollars. As for other points of entry of the Far East, their condition also leaves much to be desired. 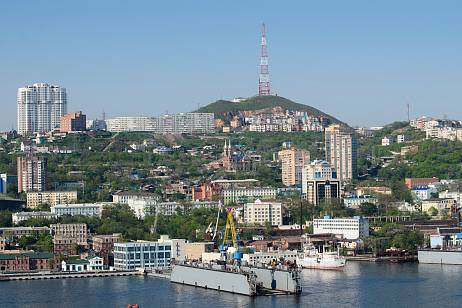 The corridor between the two largest settlements on the Russian-Chinese border - Blagoveshchensk and Heihe - is a ferry across the Amur. 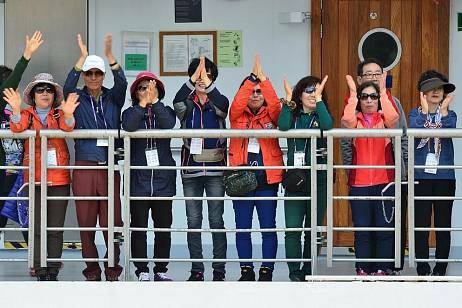 Also, on the water, go to China residents of Bikin (Khabarovsk Territory) and Pozharsky district of Primorye, Amur villages Poyarkovo, Amurzet and Nizhneleninsk. The automobile checkpoints Pokrovka, Kraskino, Turiy Rig (Primorsky Krai) have a low capacity, the Markovo railway station works only for freight traffic. The Nizhneleninskoye-Tunjiang railway crossing in the Jewish Autonomous Region, aimed at exporting ore and coal to China, will be launched after completion of the bridge and branches from the Russian side. But, according to the authors of the study, some checkpoints are not enough to change the situation. It is necessary to modernize customs, not only technical, but also management, simplification and acceleration of customs procedures. Further, measures are needed to increase the revenues of border municipalities from border traffic, which affects the territory through the appearance on it of service businesses - payers of land tax and personal income tax, as the main sources of the municipal budget's own income. If for the Chinese people the cross-border business is trade and service, where private individuals and small and medium-sized enterprises are actively involved, for the Russian side it is the transportation of goods / passengers, the points of concentration of income are taken to remote locations (ports, headquarters of large companies and large cities). Therefore, the border settlement from the Chinese side is usually a place of accumulation of financial revenues from cross-border trade, while the Far Eastern border village is a "transit zone" in which money is not delayed. Therefore, for the development of Russian border areas, it is necessary to expand cross-border production and services in them. The business for work at the border, first of all, needs roads, electricity, sites and buildings with utility networks, which the municipalities themselves can not provide due to their chronic subsidies. Moreover, the possibilities for the construction of such facilities are substantially limited in the subjects of the Far Eastern Federal District. The personnel problem is relevant both for business (the local population is reluctant to work because there is an alternative in the form of shuttle services to China) and for local administrations (young people who are not satisfied with low salaries in municipalities leave for regional capitals). Workers replace Chinese migrant workers, but the involvement of specialists is impossible without raising the standard of living in these areas. 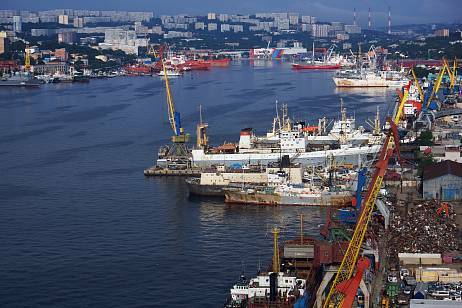 The issues of simplification of customs procedures, migration regime and tax burden are partially solved due to the acquisition by the business of the status of the resident of the Free Port of Vladivostok, the zone of which now includes Khasansky, Oktyabrsky, Frontier and Khanka regions of Primorsky Krai. However, the procedure for obtaining the status of a resident of the Freeport has its limitations. Thus, specific measures to support border areas in the construction of infrastructures and management should be reflected in the development programs of the border territories of the subjects of the Far Eastern Federal District, for the successful implementation of which coordination with federal agencies and state corporations is necessary.